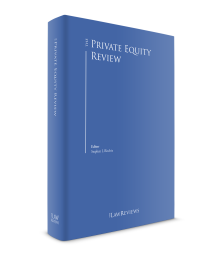 In Japan, no official statistics are published by any government organisation on the size of the private equity fundraising markets or the number of private equity funds offered in Japan. Although there are no government-published statistics, the Japanese fundraising markets have remained strong as the Bank of Japan’s negative interest rate policy seems to be pushing Japanese pension funds, financial institutions and other investors in Japan to consider allocating more money to alternative investments, including private equity funds, that have the potential to achieve greater profits than investments in government bonds or other traditional assets. Private equity funds offered in Japan include funds that make private equity investments in Japan managed by Japan-based fund operators or offshore fund operators, as well as funds that make private equity investments outside of Japan managed by Japan-based fund operators or offshore fund operators. Many of the Japan-based fund operators are now launching third, fourth or fifth funds, and new fund operators established by professionals that have spun-off from existing Japan-based fund operators are also launching their new funds. Amid the strong interest in alternative investments by investors, institutional investors have shown increased interest in co-investment deals. Naturally, the high demand and strong interest in alternative investments have increased the diversity of alternative investment funds, and not only traditional buyout or venture capital funds, but also infrastructure funds, real estate funds, fund of funds and other funds with special themes are offered in Japan. The legal structures most commonly used as a vehicle for private equity funds offered in Japan have been offshore limited partnerships organised under foreign law, such as the exempted limited partnership under Cayman Islands law, and limited partnerships for investment business (JLPSs) organised under the Limited Partnership Act for Investment Business (Law No. 90 of 1998) in Japan. Historically, private equity funds managed by non-Japanese fund operators have mainly used Cayman Islands-exempted limited partnerships as the fund vehicles for private equity investments offered to investors in Japan, and Japan-based fund operators have mainly used either Cayman Islands-exempted limited partnerships or JLPSs. These days, an increasing number of Japan-based fund operators are using or considering using JLPSs for offerings to investors in Japan and Cayman Islands-exempted limited partnerships for offerings to offshore investors and Japanese investors who choose to invest through offshore vehicles. Other possible fund structures under Japanese law include a general partnership (NK) established under the Civil Code (Law No. 89 of 1896). These alternative vehicles are also pass-through vehicles for Japanese tax purposes but the JLPS is usually the first choice of Japan-based fund operators as it provides limited liability for its limited partners and is treated as a pass-through vehicle for tax purposes. With regard to an NK, on the other hand, its partners’ liability in regard to claims against them brought by bona fide third parties will not be limited. One disadvantage of the JLPS structure is that the Limited Partnership Act for Investment Business limits the scope of the investments that can be made by a JLPS. Generally speaking, a JLPS may not invest more than 50 per cent of its assets in foreign securities (i.e., securities issued by non-Japanese issuers), and due to this restriction a JLPS cannot be used for private equity funds that invest mainly in securities of non-Japanese companies. In this chapter, we assume that the subject fund is organised as a foreign limited partnership (foreign LPS) or a JLPS (the terms foreign LPS and JLPS are collectively referred to as an ‘LPS fund’) unless we specifically refer to another type of vehicle. The Financial Instruments and Exchange Act of Japan (FIEA), which is the main statute encompassing securities regulations in Japan that not only sets forth the rules for securities offerings but also regulates securities brokers and fund managers, is basically applicable if an investor of a fund vehicle is in Japan. As a general rule, a fund manager of a foreign LPS or JLPS will need to be registered as a financial instruments business operator under the FIEA in order to make an offering of foreign LPS interests or serve as the investment manager of the fund’s assets. Where an offering of LPS fund interests is made in Japan, the entity conducting the solicitation, in principle, is considered to be engaging in the business of offering securities in Japan, and thus is required to be registered as a financial instruments business operator engaging in Type II financial instruments business (Type II registration) under the FIEA. If a general partner of a LPS fund solicits investors in Japan to invest in the LPS fund, such general partner, in principle, will be required to obtain Type II registration. However, if the general partner delegates all solicitation activities to a third party (which, in principle, is required to have Type II registration) and does not itself engage in any solicitation activities, then the general partner will not need to obtain Type II registration. In addition, in the case of private equity funds, as the assets of the LPS fund will be mainly invested in securities, the general partner, in principle, will be considered to be engaging in investment management business, and thus such general partner will need to be registered as a financial instruments business operator engaging in investment management business under the FIEA (‘investment manager registration’). Unlike the Type II registration discussed above, the general partner, generally, will be subject to the investment management business regulations even if it delegates the investment management authority to another investment manager entirely. This investment manager registration requirement is only triggered when 50 per cent or more of the assets of the LPS fund is invested in securities or derivatives. The FIEA provides several exemptions from the registration requirements discussed above. One of the exemptions used by many general partners is an exemption from both the investment management business registration and Type II registration requirements (the QII special business exemption), which is available to the general partner of a fund structured in the form of a partnership. This QII special business exemption is available when the Japanese investors investing in the LPS fund consist of at least one QII and 49 or fewer non-QIIs who meets the statutory criteria, and the general partner meets certain other criteria (the details of which are discussed in Section III below). This exemption is only available to the general partner, and is not available to a third party to whom the responsibility for solicitation of the interests in the LPS fund, or the authority to perform the investment management of the fund assets, is delegated. Therefore, if an investment manager, who is not the general partner of the fund vehicle, were to engage in solicitation activities in Japan, such investment manager will not be able to qualify for the QII special business exemption and will need to obtain Type II registration. If a general partner qualifies for the QII special business exemption, such general partner must file a notification (an Article 63 Notification) with the Local Finance Bureau (and in the case of a foreign general partner, with the Kanto Local Finance Bureau (KLFB)) prior to commencing such business in Japan. Also, the general partner who files the Article 63 Notification will be subject to certain compliance requirements (including the appointment of an agent or representative in Japan (in case of a foreign general partner, adherence to certain code of conduct rules and disclosure requirements, and maintenance of certain statutorily required books and records). Requirements for the QII special business exemption were substantially amended and such amendments came into effect on 1 March 2016. The requirements and regulations applicable to the QII special business exemption after such amendment are outlined and discussed in Section III below. Although not strictly an exemption from the registration requirements, as discussed above, if a general partner outsources marketing activities entirely to a third party (usually a firm with a Type II registration) and does not engage in any solicitation activities by its own actions, then the general partner is not required to have Type II registration and does not need to concern itself with exemptions from registration requirements. However, it should be noted that the definition of ‘solicitation’ that triggers the registration requirement under the FIEA is broad, so if the general partner has direct communications with a potential investor or investors, such communications may be considered to fall under solicitation if such communications relate to the fund or a potential investor’s possible investment in the fund. For foreign LPSs, there is a special exemption from the investment management registration requirement (the foreign fund exemption). In essence, this exemption is available when: (1) the fund’s direct investors in Japan are limited to QII and persons who have submitted a notification under Article 63 of the FIEA with respect to the investment management of the fund; (2) the fund’s indirect investors who invest through partnerships formed under Japanese law (indirect investors) are limited to QIIs; (3) the total number of the fund’s direct and indirect investors in Japan is less than 10; and (4) the amount invested by the fund’s direct investors in Japan is one-third or less than the total amount invested by all investors in the fund. In regard to the foreign fund exemption, a ‘direct investor’ is a resident of Japan who directly holds interests in a foreign LPS, and an ‘indirect investor’ is a resident of Japan who holds interests of interests in partnerships formed under Japanese law (such as a fund of funds formed under Japanese law including as a JLPS, NK, TK or LLP) that hold interests in a foreign LPS. The general partner may be exempted from the above investment manager registration requirement by outsourcing all of the investment management activities to an investment manager who has investment management registration under the FIEA, subject to certain additional requirements. Such requirements include the filing of a notification by such investment manager, and certain limited information concerning the LPS fund and its general partner is required to be included in the notification. For an offering of interests in an LPS fund that invests more than 50 per cent of its contributed funds in securities or derivatives, a public offering process (which includes the filing of a securities registration statement) must be followed unless the private placement requirements under the FIEA are satisfied. The private placement requirement for interests in partnerships mandate that the number of investors in Japan who acquire and hold the interests of the partnership as a result of an offering is to be less than 500. As long as the number of investors in Japan who ultimately acquire the interests as a result of the offer is fewer than 500, the number of offerees may be 500 or more. In the case of private placement of securities, the general partner (or a third party conducting the solicitation) must notify the investors that the subject offering meets the requirements for a private placement of the LPS fund interests, and accordingly, is not being registered under the FIEA, that the LPS fund interests fall under a certain right provided in a certain provision of the FIEA (‘the rights set forth in Article 2, Paragraph 2, Item 6 of the FIEA’, in the case of interests in foreign LPS fund). This document must be delivered to the investor concurrently with or prior to the investor’s acquisition of the LPS fund interests. The Ministry of Economy, Trade and Industry (METI) has published on its website a model limited partnership agreement for a JLPS. According to METI, the model limited partnership agreement was prepared based on its research of terms contained in both onshore and offshore limited partnership agreements with the objective of having the key terms of the model limited partnership agreement be consistent with those found in similar agreements used in other jurisdictions. In light of the existence of such model limited partnership agreement for a JLPS, Japan-based general partners who choose to use JLPSs tend to use such model agreement as the basis for preparing their limited partnership agreements. However, there is an increasing trend to use offshore limited partnerships as an alternative fund vehicle for investments by non-Japanese investors, and when such parallel fund structure is employed, the terms regarding the JLPS tend to be adjusted to substantially match the terms regarding the parallel fund. Non-Japanese fund operators usually utilise non-Japanese limited partnerships as the fund vehicle for offerings to investors in Japan. In response to the rising number of incidents that led the Japanese regulatory authority to conclude that the QII special business exemption did not provide sufficient protections for some investors, the Diet substantially amended the regulations addressing the QII special business exemption. Under the amendment that came into effect in 2016, the qualifications and requirements imposed on fund operators engaging in solicitation of investors or management of fund assets under the QII special business exemption (such as businesses covered under the QII special business exemption, ‘specially permitted business’) were significantly strengthened. Many of the compliance requirements, such as adherence to certain code of conduct rules, record-keeping requirements and public disclosure requirements that were previously only applicable to firms with Type II registration or investment manager registration status became applicable to fund operators engaging in a specially permitted business. the limited partnership agreement or the subscription agreement provides that (1) if an investor is a QII, it may not transfer any interest to a non-QII, and (2) if an investor is a non-QII, it may only transfer interests to a qualified purchaser or a QII and may not transfer interests to any other person unless it transfers all of its interests at once to such person in a single transfer. Additionally, there are certain disqualification events that apply in order for fund operators (i.e., the general partner in the case of a limited partnership) to qualify for and benefit from the QII special business exemption. One of the disqualification events is that if the only QII investing in the fund is a JLPS, then, unless such JLPS satisfies a certain asset value threshold requirement, the fund operator of such fund will not be able to qualify for the QII special business exemption. In addition, a fund operator will not be able to take advantage of the QII special business exemption if 50 per cent or more of the capital contribution in the LPS fund is made by investors who have close relationships (which is defined in the FIEA) with the fund operator (with certain exceptions). Based on this rule, certain employee funds or carry vehicles may be disqualified from the QII special business exemption. foreign funds in the form of partnerships. The general partner of an LPS fund who wishes to engage in a specially permitted business and to qualify for the QII special business exemption is required to file an Article 63 Notification prior to accepting subscriptions from investors in Japan. The Article 63 Notification may be prepared in English and must include certain information concerning the general partner, such as its name, the amount of its stated capital, the names of its officers and certain key employees and the location of its principal office (if the business operation is delegated to a third party, information concerning such third party is to be provided), and in case of a foreign fund operator, the name of its representative or agent in Japan. The Article 63 Notification will also need to include the name of the fund, a brief description of the investments made by the fund and the number, names and types of all of the QIIs investing in the LPS fund. This notification must be updated on an ongoing basis if there is any change to the information contained in the notification. A foreign fund operator would need to appoint a representative or agent in Japan in advance of the filing. The designated representative or agent in Japan will be the authorised contact person for the foreign fund operator if the Japanese regulators wish to contact the foreign fund operator. In addition, as noted below, a general partner who files the Article 63 Notification is subject to certain public disclosure requirements, and foreign fund operators without an office in Japan are expected to make the necessary public disclosures on a website. The URL address of the web page where the public disclosures are to be made is also required to be included in the Article 63 Notification to be filed by each such foreign fund operator. Certain codes of conduct rules that apply to firms with Type II registration or investment manager registration status are applicable to fund operators who filed the Article 63 Notification. Some of the code of conduct rules applicable to fund operators include: duty of good faith, prohibition on name lending, regulations on advertising, etc., delivery of document prior to conclusion of contract, delivery of document upon conclusion of contract, etc., prohibition on providing false information, prohibition on providing conclusive evaluations, prohibited on providing special benefits, prohibition on loss compensation, principle of suitability, segregation of assets, and prohibition on offerings, etc., when the fund operator uses the fund assets for other purposes. Some of the codes of conduct rules that are only applicable to investment management of fund assets include: duty of loyalty and duty of prudent manager, prohibition on trading with itself, prohibition on trading between assets managed by itself, prohibition on loss compensation, segregation of assets, and preparation and provision of investment report. Some additional notes regarding the prohibitions or requirements are set out below. The requirements for segregation of assets that apply to offering of interests and investment management of fund’s assets are different. The requirements for segregation of assets that apply to offering of interests focuses on segregation of cash and must be expressly stated in the partnership agreement or other fund-related agreement (such as the subscription agreement). The segregation of assets that apply to fund operators with respect to the investment management of fund’s assets applies not only to cash but also to securities in the fund assets. Fund operators must confirm whether an investor is a QII or a non-QII, and if the investor is a non-QII who is a qualified purchaser, they must further confirm whether such investor is a ‘professional investor’ or non-professional investor. ‘Professional investor’ is defined in the FIEA and includes, among others, a QII, a listed company, a Japanese kabushiki kaisha (a type of company defined under the Companies Act of Japan) whose capital is reasonably anticipated to be ¥500 million or above, a financial instruments business operator registered under the FIEA, a legal entity that has filed the Article 63 Notification, and a foreign entity. In addition, the fund operator must notify each professional investor that is not a QII that such investor may choose to be treated as non-professional investor. Certain code of conduct rules (such as regulations on advertising, the requirement to deliver certain documents prior to the conclusion of a contract, the requirement to deliver certain documents upon the conclusion of a contract, etc., the principle of suitability, and the requirement to deliver a statutory performance report) do not apply in relation to an investor who is a professional investor. Fund operators who have filed the Article 63 Notification are required to prepare and maintain certain books and records that include matters required under the FIEA and its subordinated regulations. These include customer ledgers, transaction records and copies of certain statutory documents. Each fund operator who has filed the Article 63 Notification must file a business report (Form 21-2) for each fiscal year, within three months from the end of the fiscal year. The annual business report may be prepared and filed in English and must include the financial statement of the fund operator. Please see below for the public disclosure requirement of certain matters included in the business report. A fund operator who has filed the Article 63 Notification is subject to two different public disclosure requirements: (1) one requiring the fund operator to disclosure certain information included in Article 63 Notification, and (2) the other requiring the fund operator to disclose an explanatory document, which is a document that contains certain (but not all) information included in the annual business report. Matters included in the Article 63 Notification other than the names of the QIIs and the identity of the representative or agent in Japan of a foreign fund operator must be disclosed to the public by making them available at the fund operator’s principal place of business and at all of the offices that engage in the specially permitted business, or on the website of the fund operator. If the fund operator does not have any office or place of business in Japan, such fund operator must make the disclosure on a webpage or through other means that can be easily accessed by investors in Japan. The responsibility for making of this public disclosure can be delegated by the fund operator but the fund operator must take appropriate measures to ensure that investors can easily find where the public disclosure is made. This public disclosure may be made in English. The fund operator is required to prepare an explanatory document (Form 21-3) that includes certain information included in the annual business report, and disclose such explanatory document to the public by making it available at its principal place of business and at all of the offices which engage in the specially permitted business, or on the website of the fund operator. The timing and method by which a foreign fund operator is to make such disclosure are the same as those for the public disclosure of matters included in the Article 63 Notification. The explanatory document may be prepared in English. Under the FIEA, the Japanese regulator is vested with enhanced oversight authority over fund operators. For example, the regulator may issue an administrative order against a fund operator ordering the operator to improve, suspend or discontinue its business operations with respect to a specially permitted business, and the regulator may instruct the fund operator to submit reports or allow the regulator or its designee to conduct on-site inspections when it deems necessary to protect the interests of investors. In addition, the amendments that came into effect in 2016 introduced more severe penalties to be imposed against fund operators who fail to make the required notifications or file false notifications. The regulatory environment for fund operators without Type II registration or investment manager registration status changed substantially in 2016 due to the effectuation of amendments to the FIEA concerning the QII special business exemption. We see more and more foreign fund operators choosing to benefit from the foreign fund exemption so that it will not be required to maintain Article 63 Notification after fund raising is completed so as to avoid the public disclosure of the explanatory document. Also, although Japanese regulators have been actively disclosing names of fund operators who have failed to perform the Article 63 Notification updates required under the FIEA amendments and are conducting on-site inspections of fund operators who have problematic operations, the extent to which the Japanese regulators will actually require and conduct on-site inspections of fund operators generally or require submission of reports on the specially permitted businesses (including a report on compliance with applicable legal requirements and obligations) is still not clear. Fund operators intending to benefit from the QII special business exemption should carefully consider whether they can comply with the applicable Japanese regulations and should also carefully examine whether other exemptions from registration requirements available under Japanese law may apply, prior to filing the Article 63 Notification. We expect that more fund operators who have filed the Article 63 Notification will be keen to submit a notification to discontinue their specially permitted businesses where possible. Despite the increased regulatory restrictions and requirements imposed on fund operators, the Bank of Japan’s current negative interest rate strategy remains unchanged, and we expect to continue to see strong interest of investors seeking to invest in alternative investments including private equity funds. 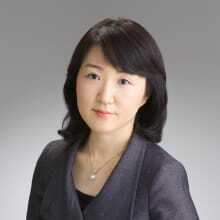 1 Keiko Shimizu is a partner at Nagashima Ohno & Tsunematsu NY LLP. 2 ‘Those having close relationship with the relevant fund operator’ includes, among others: directors and employees of the fund operator; the parent, subsidiary and brother/sister companies of the fund operator; the investment advisor/manager of the relevant fund; and the directors and employees of the parent, subsidiary or brother/sister companies of the fund operator or investment adviser/manager of the fund. 3 ‘Investment-oriented financial assets’ includes instruments such as securities, derivatives and derivative deposits, but does not include cash, ordinary deposits and real estate.